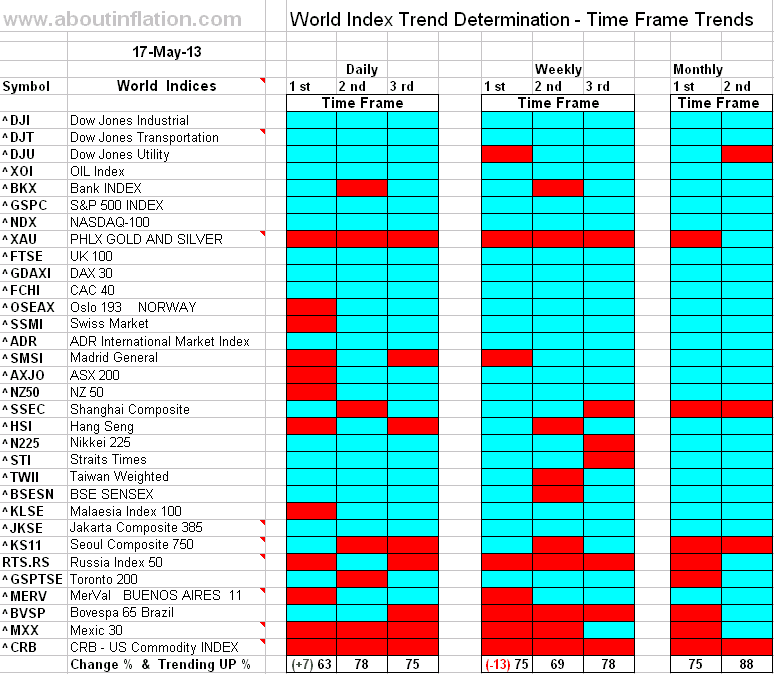 World Index components Trend Determination is calculated base on price action. Daily - 1st first time frame - 63% of World Index Components is Trending Up. Daily - 2nd second time frame - 78% of World Index Components is Trending Up. Daily - 3rd time frame - 75% of World Index Components is Trending Up. Weekly - 1st first time frame - 75% of World Index Components is Trending Up. 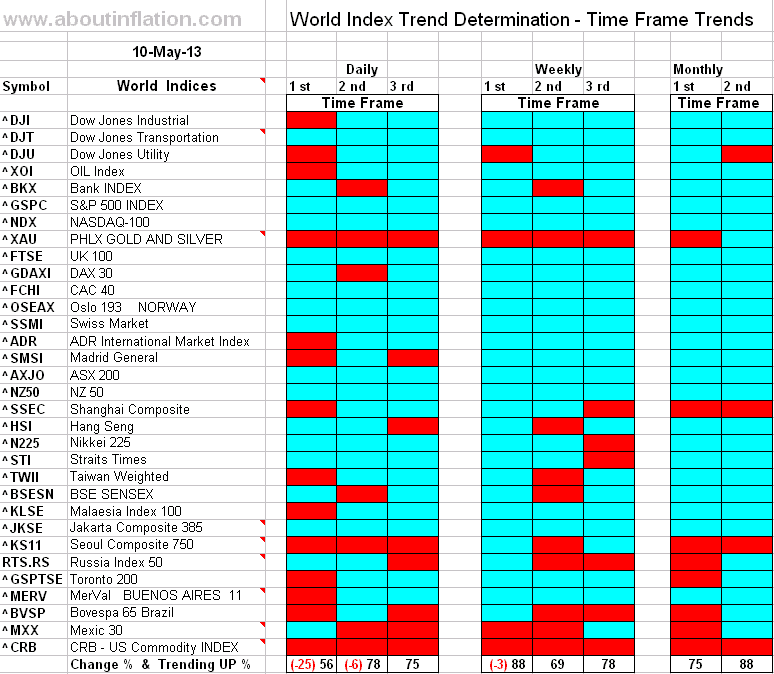 Weekly - 2nd second time frame - 69% of World Index Components is Trending Up. Weekly - 3rd third time frame - 78% of World Index Components is Trending Up. Monthly - 1st first time frame - 75% of World Index Components is Trending Up. Monthly - 2nd second time frame - 88% of World Index Components is Trending Up.